School is a child's workplace, where they spend up to 8 hours a day, five days a week. Near-constant exposure to wireless radiation in classrooms has not been proven safe. Physicians for Safe Technology devotes a section of their website to scientific information on behavior, memory and learning. WiFi in Schools, based in the UK, produced a science-based report on wireless radiation in schools in 2012. 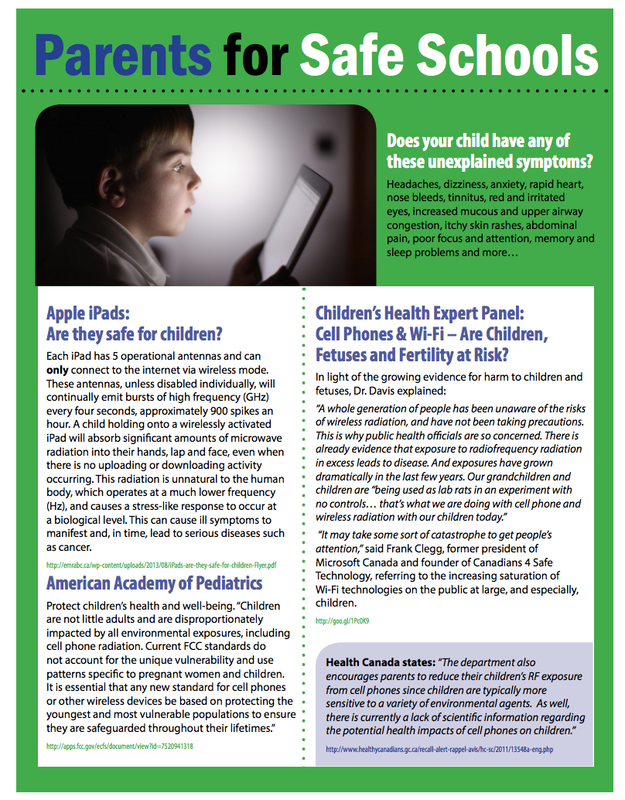 Environmental Health Trust has published a review of science and global advisories regarding wireless technology in schools. A Rationale for Biologically-based Public Exposure Standards for Electromagnetic Fields (ELF and RF).